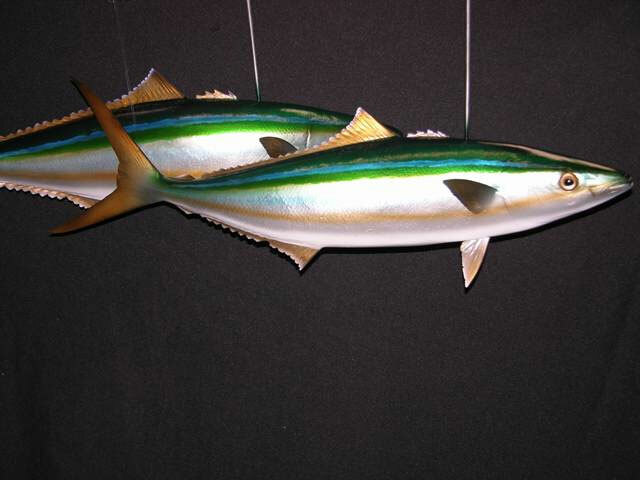 The rainbow runner (Elagatis bipinnulata), also known as the rainbow yellowtail, Spanish jack, and Hawaiian salmon, is a common species of pelagic marine fish of the jack family, Carangidae. The species is widespread throughout the tropical and subtropical waters of the world, inhabiting both coastal as well as far offshore areas. The species is the only member of the genus Elagatis, which was created 15 years after its initial description, and is closely related to the amberjacks. The rainbow runner is easily distinguished by its body shape and the brilliant coloration which gives the fish its name. It is a fast swimming predator, taking small fish, cephalopods and a wide variety of planktonic crustaceans. The species reaches sexual maturity at around 60 cm (24 in), and spawning takes place at different times, with some populations spawning year round, while others only spawn at certain times of the year. 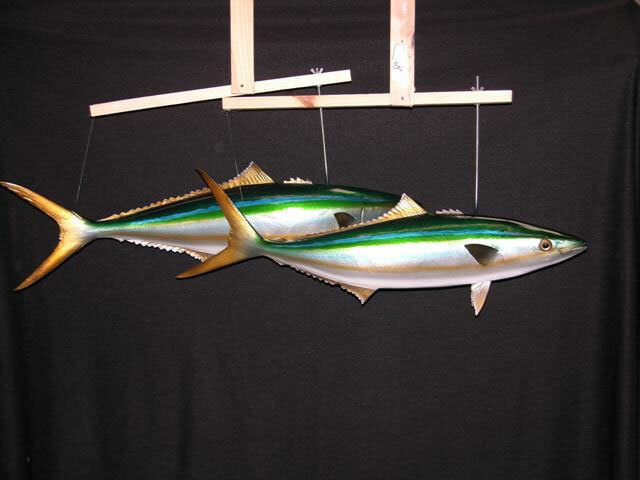 Rainbow Runners are well-known game fish, taken by a variety of fishing methods and is a well rated table fish. Large amounts of the species are taken as bycatch in tuna and shark fishing operations and marketed.